Reduce Your Mess. Ease Your Stress. The Bag Holder is an essential new kitchen container that holds gallon-sized and vacuum type storage bags open. Allows you to easily pour, store, transfer and assemble food with little to no clean up. 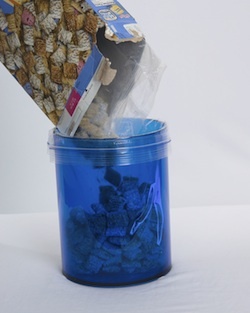 The Bag Holder turns any gallon bag into a bowl . No more dishes, no more clean up and you can make meals in half the time. create No Mess Meals in Minutes with over 250 videos on Youtube of great meals to make. 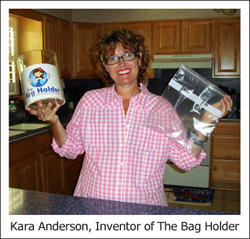 Order The Bag Holder Today!